When I first got my Droid, I was wrapped up in all things Internet and app. Nevermind the Kindle on there. I assumed that would collect dust. I’m a book girl. I love the smell of pages, and the sea of bookshelves in my home. And wherever I go, I bring a book. So when I finally got to testing this Kindle business on my phone, my expectations weren’t very high. Nonetheless, I downloaded a couple of my favorite books. It surprised me. Not only is my Kindle the most portable “book” I’ve ever toted, it allows me to have a small library with me at all times. And it appears libraries quickly are boarding this e-reading train. The American Library Association recently reported 67 percent of public libraries in the United States now offer free access to e-books. ReadWriteWeb writer Audrey Watters says that figure is up 30 percent since 2007. Apart from libraries, e-reader ownership quickly is growing. Kristen Purcell, associate director for research with Pew Internet Project, wrote recently that the number of U.S. adults who own an e-book reader doubled to 12 percent in May from 6 percent last November. I had to know more. So I went to Facebook. 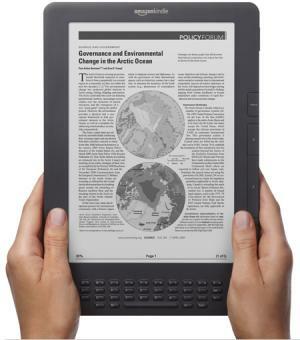 Not surprisingly, many pals sang the praises of their e-readers. Maria in New Jersey just upgraded to the Nook Color. DC pal Allison says she reads on her Kindle, but she buys the actual paper book when she comes across a keeper. Erin in Virginia says she won’t touch a book now that she has a Kindle. Christine’s Nook converted her entirely to e-reading.